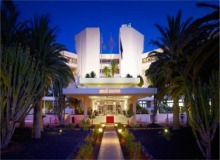 The luxurious 5 star Melia Salinas hotel is located on the beautiful island of Lanzarote (Spain). The unspoiled surroundings of spectacular gardens, botanical areas and beaches with the finest white sands make this Canary Island one of the worlds unique natural paradises. 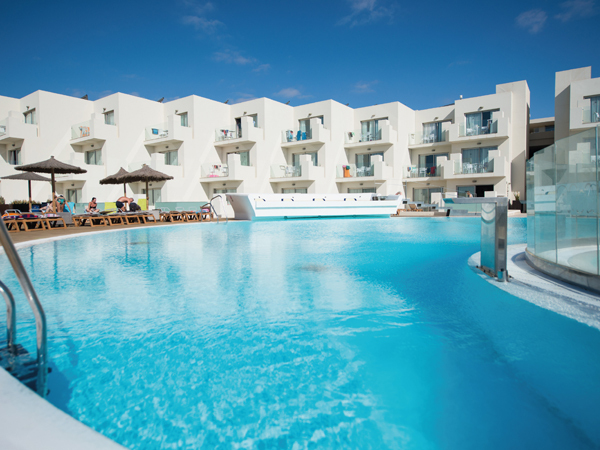 The Barcelo Teguise Beach - Adults only hotel has been completely refurbished to offer guests an avant-garde stay by the sea, boasting of beautiful light and tranquillity of Lanzarote. The hotel HD Beach Resort is located in the tourist area of Costa Teguise, in front of a small beach and 250 meters from the beach "Playa de Las Cucharas" and commercial area with shops, bars and restaurants. Ideally situated facing the sea offers the opportunity to enjoy all kinds of nautical activities, sports, entertainment and relaxation in a canary. Costa Teguise is one of the most attractive tourist destinations on Lanzarote, thanks to its first class accommodations, the quality of its services, the beaches and the green spaces. 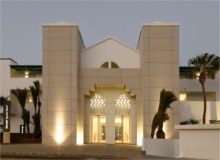 The Hotel Riu Paraiso Lanzarote is situated on the vast Playa de los Pocillos beach in Lanzarote, Spain. If you’re looking for relaxing holidays and heavenly beaches this should definitely be your next destination. Stylish one and two bedroom villas, with the blue Atlantic Ocean literally feet from your door, you'll enjoy four-star self-catering and a gorgeous climate all year round. 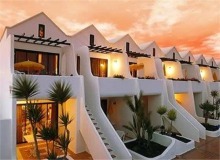 Situated in a prime beachfront setting of Costa Teguise, the Grand Playa hotel offers everything for a perfect holiday. The Hotel Beatriz Costa & Spa, is located 15 Km. 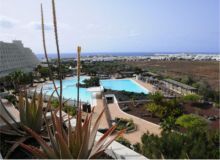 from the airport in the peaceful area of Costa Teguise, 7 Km. from Arrecife and 2 Km. from the Golf Club with easy access from anywhere on the island. These spacious and well equipped apartments are in one of the nicest spots along the Costa Teguise, great for holidaymakers of all ages looking for the perfect place to stay.. Ideally situated in the centre of Costa Teguise, Oceano Apartments offer well equipped studio apartments, with all the facilites required for a peaceful and relaxing self-catering holiday in a lovely location.